For the 5th consecutive year Higher Hopes! will distribute 1,000 complete Thanksgiving meal kits so that families can enjoy dinner at home with loved ones. These “kits” contain everything from a 12-14-pound turkey and all the sides, including stuffing, Michigan potatoes, yams, all of the ingredients for green bean casserole, Zoup! Chicken Broth, Jiffy Corn Muffin Mix, cranberry sauce, apples, spices and Coca Cola products, all topped off with Cooper Street Cookies for dessert and much more. Higher Hopes! also includes disposable plates, roasting pans, and cutlery for families. All of which is provided to families who have children enrolled in the Early Head Start Child Care Partnership Programs, which encompass the Early Head Start, Head Start and Great Start Readiness Programs in Detroit. 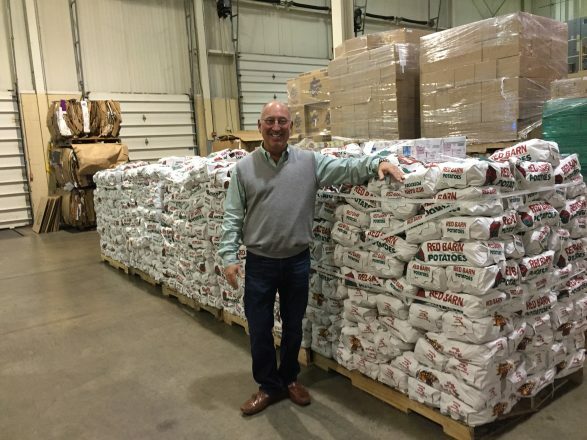 As an agency partner of Gleaners Community Food Bank of Southeast Michigan, Higher Hopes! will utilize Gleaners facilities to store all food donations and pack up the meal kits. Pack-Up Day will be held at Gleaners on Saturday, Nov. 17, and Distribution Day will take place on Monday, Nov. 19 at four Head Start sites in the city of Detroit. Around 300 volunteers will assist in packing and distributing more than 65,000 pounds (four tractor-trailers loads) of food for the Thanksgiving holiday to families who have children enrolled at the Order of the Fishermen Ministry Head Start, Focus Hope Head Start, Star Fish Head Start, United Children and Families Head Start, Development Centers Head Start, New St. Paul and Matrix. Higher Hopes! is a registered 501 C 3 started by Bill Birndorf, owner of Commerce-based Apple Marketing Company, now in its 34th year. Birndorf came up with the idea for Higher Hopes! the night of Thanksgiving 2013 after seeing a news story about people in the city who were struggling to buy food for the holidays to feed their families. For more information about Higher Hopes!, to make food or monetary donations, visit www.higherhopesdetroit.org or email volunteer@higherhopesdetroit.org. The Higher Hopes! website allows for donations to be made electronically using credit or debit cards or donations can also be made via checks made out to Higher Hopes! and sent to 8898 Commerce Road, Suite 5C Commerce, MI 48382.